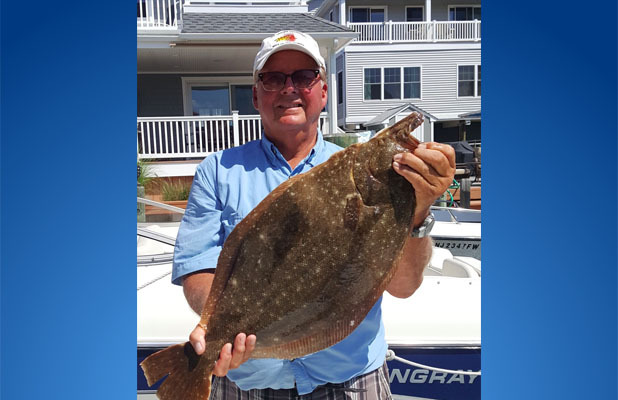 Anglers will face an uphill battle in the quest to find keeper summer flounder this season, with the New Jersey maintaining its historically high minimum size and the state legislature pushing back against what fishing advocates and many policymakers call bad science. New Jersey, forced by a quota set by the federal government, has enacted its summer flounder (also known as fluke) regulations for the 2018 season. Anglers will be allowed to keep three fish, 18-inches or longer, during a season lasting May 25 to Sept. 22. At Island Beach State Park (for those fishing from shore only) there is a special 16-inch limit with a bag limit of two fish, during the same season. Regulations were also set for the black sea bass fishery, which have also drawn scorn from anglers in recent years. From May 15 through June 22, anglers will be able to keep 10 fish at 12.5-inches. The season then closes, but reopens from July 1 to Aug. 31 with a limit of two fish at 12.5-inches. The season then closes for a second time, and reopens from Oct. 8 to Oct. 31, when regulations revert to 10 fish at 12.5 inches. From Nov. 1 to Dec. 31, anglers can keep 15 fish at 13-inches. The regulations for both sea bass and flounder, species that were considered “rebuilt” under federal guidelines, have become stiffer during recent years. Last year, proposed regulations were so tight that the federal government’s own data stated more fish would be killed after being thrown back than all the fish legally kept by anglers during the season. State legislators last week penned a letter to federal fisheries managers, who come under the jurisdiction of the Department of Commerce, urging them to use better data so fisheries can be accessed more easily. The state Assembly Agriculture Committee approved a resolution introduced by Assemblyman Edward H. Thomson (R-Monmouth) last Thursday in protest of the regulations. Congress has yet to enact a bill called the Transparent Summer Flounder Quota Act, introduced by Rep. Frank Pallone (D-4) and Frank LoBiondo (R-2) which would require the National Marine Fisheries Service to complete a new summer flounder stock assessment and establishes a new rule based on that stock assessment.